It’s definitely colder up here, and so it’s been winter coat on this week. If it’s chilly where you are, curl up under a blanket and enjoy some of these great posts. Vocalists’ checklist for solving practice room problems (Beyond the Notes) – A really fantastic checklist for helping singers get more out of their practice times. Why not print it and stick it up in your practice space? How to Get Unstuck and Break Through Learning Plateaus (Bulletproof Musician) – All about using feedback and awareness to improve your performance. The Value of Music Theory (Classical Mel) – A great post summarising the benefits of studying music theory alongside performance. Practice and Listen and Practice and Listen (La Dona’s Music Studio) – Some thoughts on the big news in the music world this week that learning the bassoon can help to win you a Nobel prize… maybe. The Performing Teacher (Cross-Eyed Pianist) – Some interesting thoughts on why it’s important teachers should be performers too. 21 Days to Consistent Practice (Teach Piano Today) – How the first three weeks can make all the difference to ensuring good practice habits. 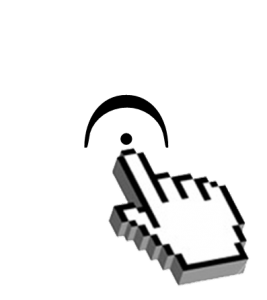 Don’t Leave it to Chance (La Dona’s Music Studio) – Some tips and resources on teaching intervalic reading (or, relative pitch reading). How to Rescue The Unmotivated Teenage Piano Student (Teach Piano Today) – Some great ideas on how to motivate teenage music students. Overcoming the Fear of Public Speaking (Professionally Speaking) – A nice summary post about some of the key ways to reduce nerves. Maintaining Composure as Your Top Falls Off... (Speak Schmeak) – a really good example of how it should be done! And the poster misses that not only does the dancer keep her own cool, but the other female dancer also drops out of the formation to make it look more even – so teamwork! This entry was posted in Friday Favourites, Regular Columns and tagged friday favourites on 11th October 2013 by .